Your budget is all about looking forward—but knowing what happened in the past can help you prepare for your future spending. Want to know how many days go by, on average, between earning your money and spending it? Check out the Age of Money report. 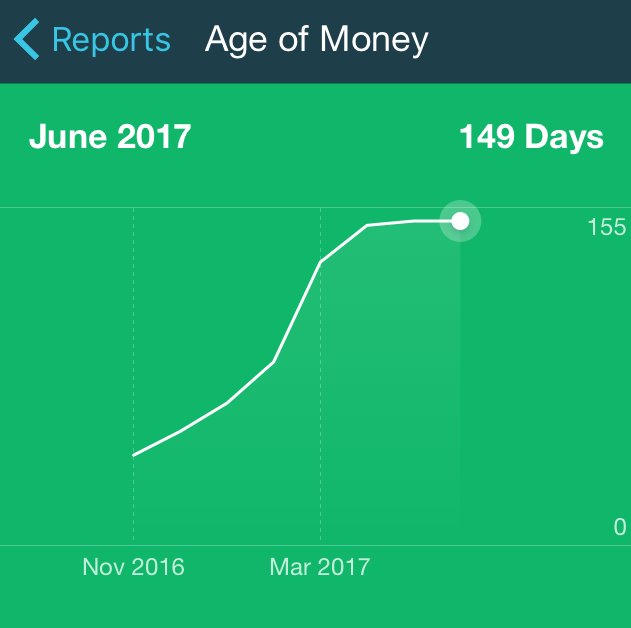 Tap on the line graph and slide your finger across the line to see your Age of Money calculation at any point in the past. You’re changing your spending habits, making better decisions, and finding dollars you never knew you had to pay off your debts. Your Net Worth report is all about this progress. 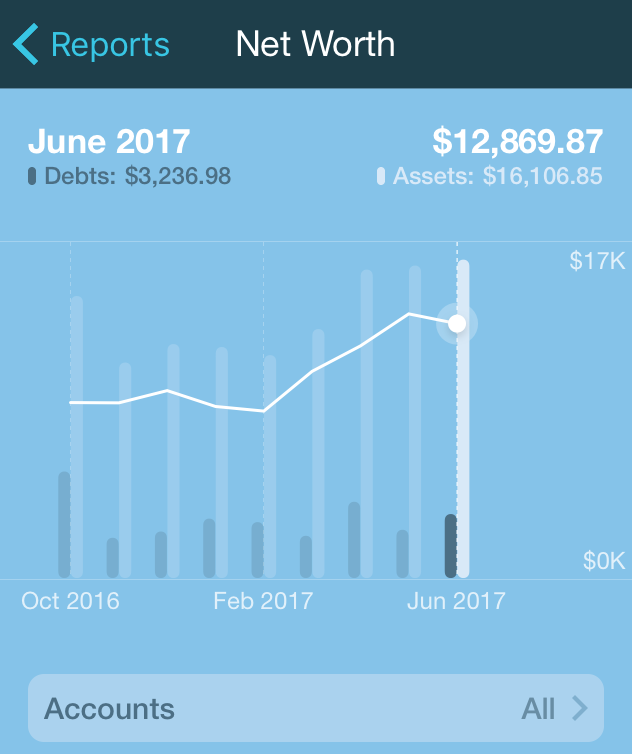 Tap each bar to see details about your debt and assets at the end of that month. You can also specify which accounts to exclude from the report. Did you know there are more reports if you access your YNAB account in the web app on a computer? That's where you'll find the Spending and Income v Expense reports, as well as the option to export reports.